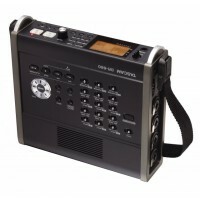 he PMD-661 MKIII is a 2-channel handheld solid-state audio recorder. With its uncompromisingly high performance and rugged build quality, the PMD-661 MKIII gives news journalists, court/municipal reporters, public safety personnel, investigators and researchers a professional device that produces accurate, detailed in-field recordings. Plus, its file-encryption function offers the maximum security for sensitive information. It’s ideal for situations where no-compromise audio data capture is requ.. 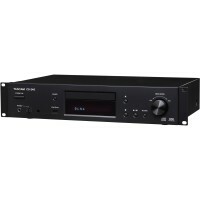 The PMD661 MKII from Marantz is a professional stereo field recorder that offers recording, playback, editing and security features in a handheld package. 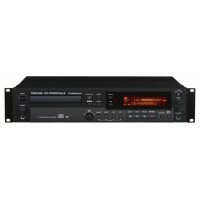 Like its predecessors the PMD660 and the PMD661, the PMD661 MKII incorporates a host of new features and advancements. New security features have been added to the MKII to help keep your device and your recordings safe from unauthorized access. Menu locking and passcode protection keeps recorder usage restricted. File encryption allow.. 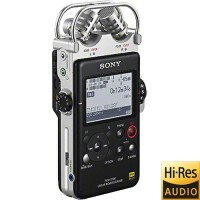 The PCM-D100 High Resolution Portable Stereo Recorder from Sony is capable of recording audio from its built-in stereo mics in up to 192 kHz/24-bit PCM, 2.8224 MHz DSD, or 320 kbps MP3 files. It has 32 GB of internal memory and supports external memory via its SD-XC card slot. The PCM-D100's stereo mics can be arranged in 90° XY or 120° wide stereo positions, depending on the subject being recorded. The recorder is powered by four included AA batteries and can record approximately 6.5 hours a..
Built-in 30-pin and Lightning Docking Station for Audio Output, Transport Control, and Charging from all iPhones and iPods The CD-200iL is built with a retractable iPod dock on the front of the player. You can attach iPods or iPhones with the 30-pin dock or Lightning connector. With this new dual connector dock, the CD-200iL is compatible with any iPod or iPhone device making it ideal for users with varying iOS Devices. *Built-in 30-pin and Lightning Dock cannot be used at the same tim..
Network Audio/CD Player for Installation, Ideal for Music Playback The CD-240 from TASCAM plays back CDs, audio files, and online streams, making it the perfect background music player for restaurants, retail, and theme parks. The network streaming section is compatible with DLNA-certified network sources like media servers and mobile devices. Audio files can be played back over a network or USB device, from WAV and MP3 to more esoteric formats like high-resolution DSD, FLAC and Ogg Vor.. The CD-RW900MKII and CD-RW901MKII are professional CD recorders that replace the best-selling CD-RW900SL and CD-RW901SL. A new TEAC tray-loading transport ensures years of reliable operation in the most demanding installations. The new transport also allows gapless recording when writing track markers, something not possible using off-the-shelf PC drives. Various recording features like automatic track creation help the operator create polished recordings without constant supervision. An .. 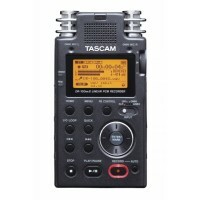 The rugged TASCAM DR-100mkII offers high-end recording features for musicians and engineers who demand more from their portable recorder. 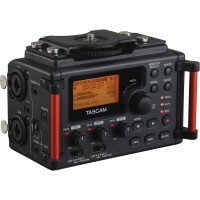 It features four built-in microphones - two cardioid and two omnidirectional - for great sounding recordings. A pair of XLR connectors accept microphone level signals with +48V phantom power for pro-grade condenser microphones, or balanced line-level signals (a new feature on the mkII). 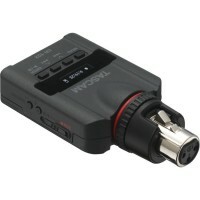 The mkII version also adds a S/PDIF digital input, locking connectors and ..
Providing a PCM recording solution that you can connect directly to your handheld dynamic microphone the DR-10X Plug-On Micro Linear PCM Recorder from Tascam is capable of tracking in up to 24-bit, 48 kHz resolution to SD or microSD cards up to 32 GB and can be used for ENG applications. The unit features automatic and manual gain settings as well as a selectable low-cut filter. It is capable of recording a safety track at a lower volume simultaneously to prevent against distortion. .. 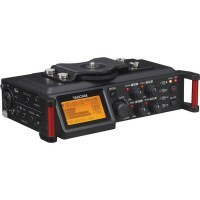 Designed to cater to the needs of DSLR audio for video recording, the DR-60DmkII 4-Channel Portable Recorder for DSLR from Tascam is the latest generation of their popular audio recording device. Capable of recording 4 channels of audio simultaneously in up to 24-bit/96 kHz WAV/BWF files, the DR-60DmkII boasts Tascam's High Definition Discrete Architecture (HDDA) preamps and a Cirrus Logic analog to digital converter chip for accurate and pristine audio capture. 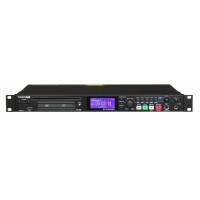 It features 2 combination X..
TASCAM's DR-680MKII brings multi-channel portable recording within reach of any musician for polished live, location and surround recordings. Up to eight tracks can be recorded to solid-state SD card media at 96kHz/24-bit Broadcast WAV quality. Six mic inputs provide phantom power and 60dB of gain for great-sounding recordings with your condenser microphones. Record the six microphones along with a digital S/PDIF source for 8 track recording. Each mic input has a selectable low cut filter and an.. 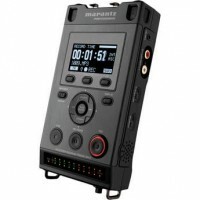 Designed as an audio recording solution for filmmakers, the DR-70D 4-Channel Audio Recording Device for DSLR and Video Cameras from Tascam features dual built-in omnidirectional microphones and is capable of recording up to 4 tracks simultaneously. It has tripod mounts on both the top and bottom of the unit and can be mounted above or below your DSLR or video camera as well as on a follow-focus cage. 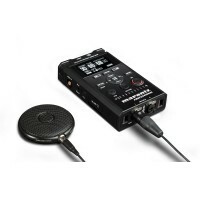 Recording to SD, SDHC, or SDXC cards up to 128GB, the DR-70D tracks in BWAV format for ..
~~The TASCAM SS-CDR200 Solid State Recorder - designed for the Broadcast and Contractor markets - records in WAV & MP3 to Compact Flash, SD/SHC and USB memory. MP3 and audio CD formats are recorded to CD via a slot-loading transport. Parallel and RS-232C serial control - along with up to 20 tracks of flash start, balanced & unbalanced I/O, and coaxial digital I/O – make the SS-CDR200 an ideal one rack-space media solution. •Solid state recoding to any available Media (CF, SD/SDHC,..